Welcome to Ryan's Handyman Services, a home building, home improvement and home maintenance provider. 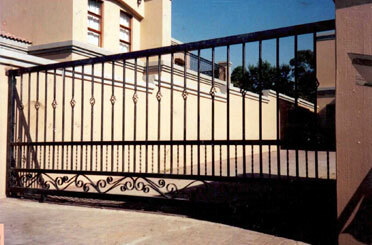 We specialize in metal constructions, security applications and all forms of paint work. Does your home need a new colour coating, patio, carport or bathroom? Does your office cry out for new guttering and neat reception area for that corporate appearance? Contact Ryan's Handyman Services for a free quote, expert advice and quality on time, in budget delivery. Established in 2008 in Gauteng•s East Rand, we service private residential homes, small and large businesses and are popular sub-contractors for construction enterprises and home builders. All	Building Maintenance • Painting. We also offer long term maintenance contracts to the private and commercial markets to ensure your buildings remain in a permanent pristine condition that prevents untimely and costly emergency repairs. All	products and services guaranteed.